Three units in flight cases. This device adds flexibility and greater control to multi-screen and single screen events. The controller enhances PIP and KEY placement, source switching, and layer control options during a presentation. The ScreenPRO-II Controller includes access to 36 presets, available to the operator at a touch of a button. Preset recalls include items such as sources, layer functions and transition effects simplifying the control of single screen or multi-screen events. 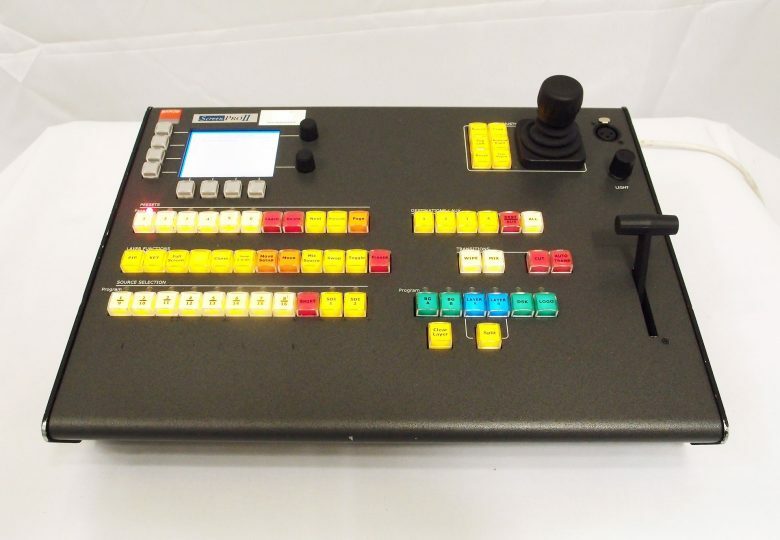 The controller also allows for remote switching of the MatrixPRO routers encasing the total flexibility and capacity of the presentation system. The controller works with up to 16 inputs, any mixture of RGBHV analog signals and SDI/ HDSDI, DVI signals, from both external routers and the built in routers of the ScreenPRO II. The ScreenPRO II controller is available with a tally and a PS2 Keyboard card. 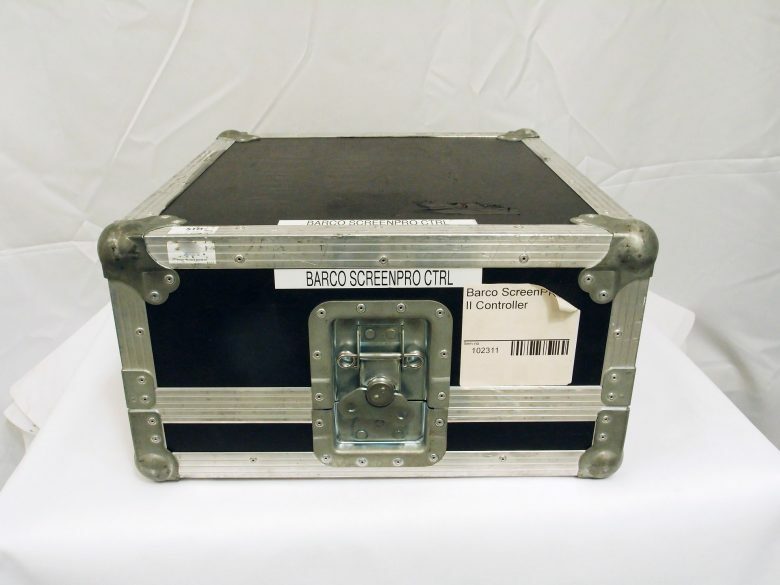 The tally card triggers tally lights on Camera CCU units or other devices. The PS/2 Port allows for a PS/2 keyboard to be connected simplifying setup functions. Combined with the ScreenPRO-II Processors and a BlendPRO-II, the ScreenPRO-II Controller can manage blended screens up to 4 projectors wide. In addition, the controller can manage four auxillary outputs when used with an external router. 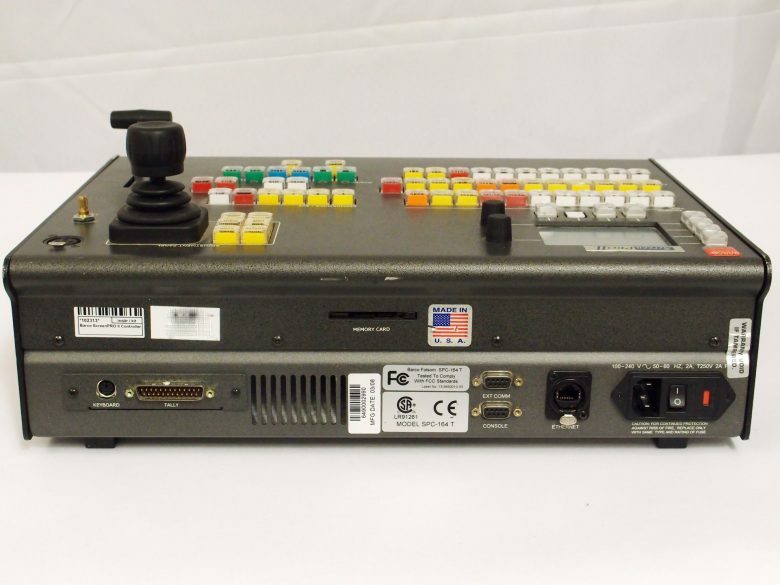 If needed, the ScreenPRO-II controller can tie in ImagePRO processors to the AUX outputs so that all signals are scaled to a preset resolution and format.